In 1994 we began the process of establishing Affordable Overhead Door and in 1995 ran our first garage door installation service call. We had only one service vehicle at that time but have added vehicles and technicians as we have continued to grow through the years. We attribute our success to the importance we place on friendly customer service, and providing the high level of quality workmanship and products that is to be expected. We continue to strive and always provide our residential and commercial customers throughout Rhode Island ( RI ) and Massachusetts ( MA ), with a high level of commitment to quality products, workmanship, and selection for an increasingly vast number of garage door options. 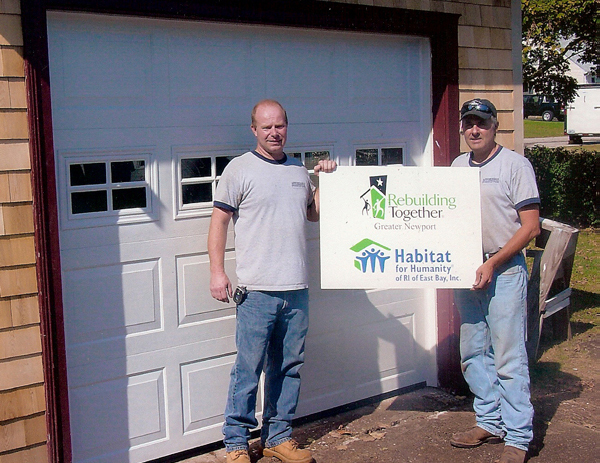 Garage door installation is one of the corner stones that our business was built upon. An upgrade of your garage doors can make your home or business look completely different and add value. We look forward to the opportunity to work with new customers. We thank our many existing customers, we have had the pleasure to work with and hope we will again someday in the future. Please read our reviews and consider adding your own. Put our experience to work for you and contact Affordable Overhead Door for information about garage door installation or many of our other services. We offer free in home, no pressure, no obligation estimates to repair your existing door or opener, or to replace it with one of the many new styles, options and features available today.